My Friday phone dump series is a way of just catching up with what we’ve been up to and sharing some of the images on my phone. You know the ones, the pictures you take, never really intending to do anything with them just because your kids smiled or or did something new or to ‘show Daddy where we went’. Those pictures that really fill up your phone but aren’t really intended to print or show off. The ordinary moments. Well, this week has seen us get outside more, eat lunch in the garden – twice and my nieces have been over for the last day of the Easter holiday too. I can’t wait to get the garden in order and have the nice weather back soon, especially as I’ll be at home to enjoy it while I’m on mat’ leave. 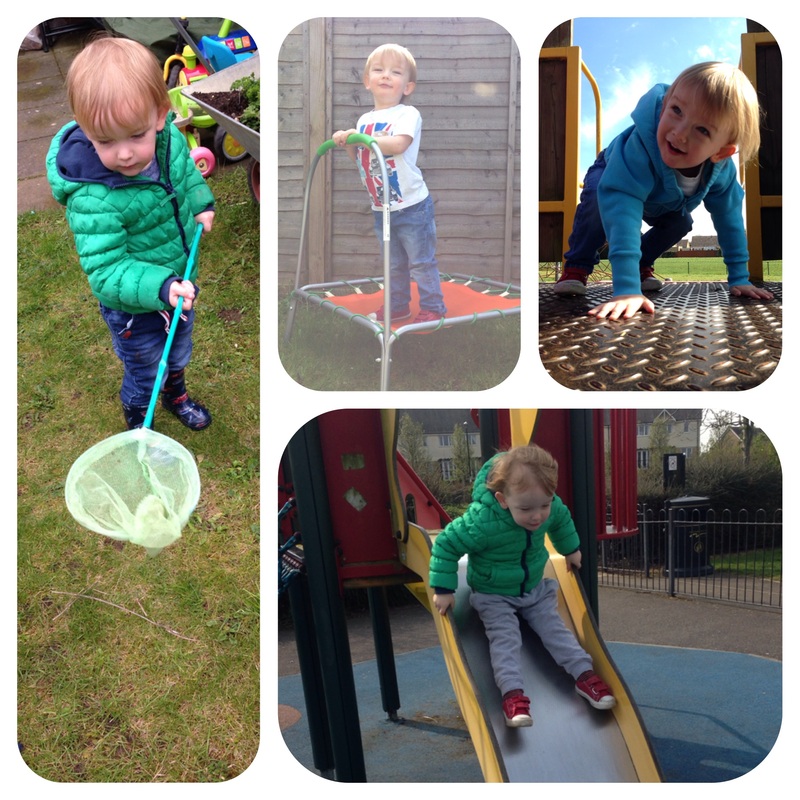 Here are a few pictures of our week..
Dexter has really enjoyed being outside more this week. Even just the little walks to the shop for things like bread and milk have been like mini adventures for him. We’ve been to a few different local parks and he made me so proud when he found a toy dinosaur that a little girl had lost and we walked over to her to give it to her. He must’ve been proud of himself too as he talked about it all the way home. He has his moments lately, as all toddlers do where they like to test their boundaries and limits but in all, he is such a good and sweet boy. Paisley has also had some time in the garden as Wednesday was really warm. She even had the opportunity to wear her new sun hat that Nanny bought her. 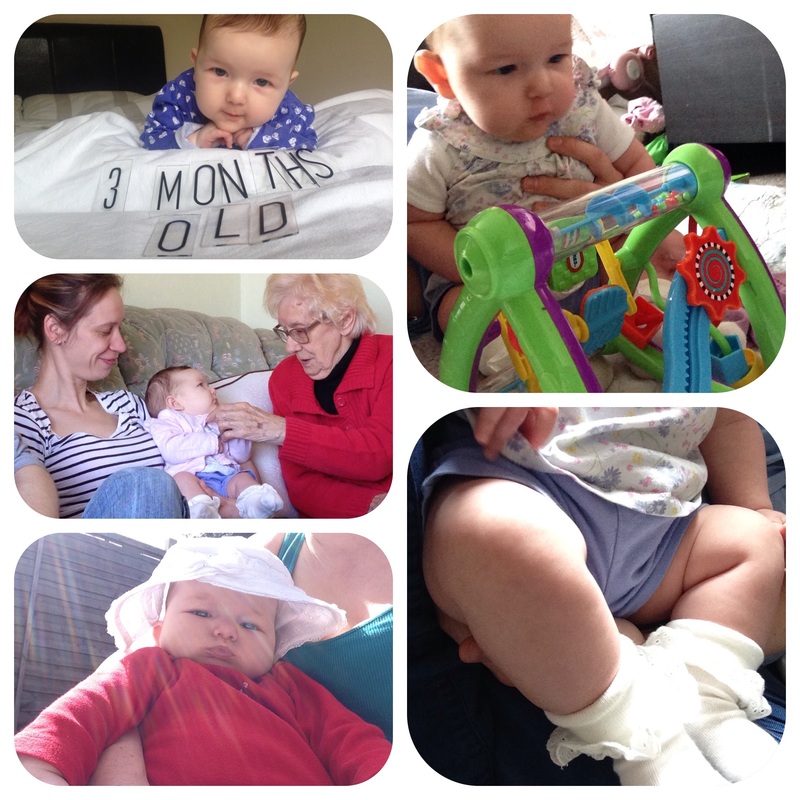 She turned 3 months old at the start of the week too (although I’m sure she thinks she is older). We had lunch on Sunday with Liam’s Grandma and sister so Paisley got to meet her Great Grandma. They have met before when Paisley was just a week or so old but she just slept the whole time. She has been getting better at playing with her toys now too. Her movements are much more deliberate and as you can see, she has some brilliant fat rolls on her little leggies! Liam is amazing me at the moment. I haven’t told him but I’m so impressed. He’s actually reading a book!! He never reads. He has started books but I’ve never seen him finish one. He is currently reading The Anarchists Tool Chest (I think thats what it’s called) and he hasn’t put it down. We would both like to be able to work from home in the future and he would like to do this by becoming a carpenter. He is already very good at it, it just comes down to time. His goal when we eventually buy our forever home is to make all of our furniture himself. Things like TV units, tables etc would be all made by him. 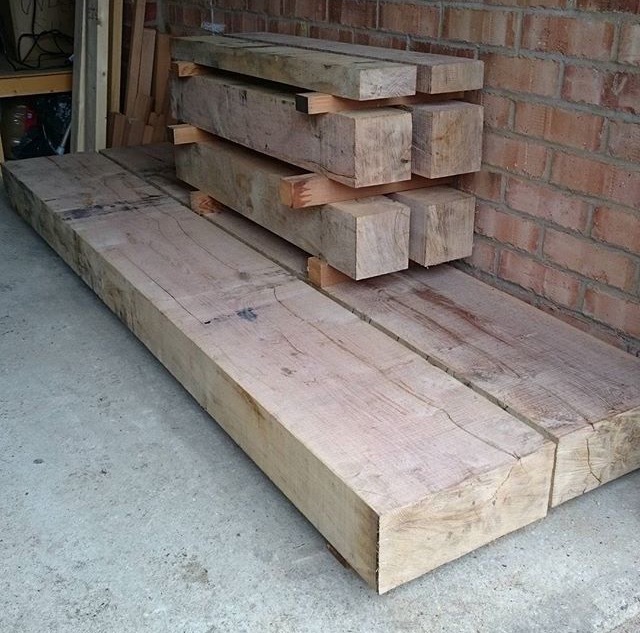 He already made the benches we sit on at the table and his current project is to make a workbench with this oak that he picked up recently. It’d be pretty amazing to not own any mass produced furniture don’t you think? All in all I’ve had a good week. I’ve also enjoyed getting out of the house more and I’m finding my energy again. Last summer was short lived really with the unexpected house move and being pregnant with Paisley really took it out of me. I felt really old and tired. It’s safe to say I’m back to my old self and am loving being up and about. I’ve been up and about since Paisley was a few weeks old really but now I’m actually feeling it and feeling good. Liam and I have been binge watching The X files which has lead to us buying junk food like big bags of crisps and things to eat while watching and I’ve put on a bit of weight since. This is a bit annoying as a week or so after having Paisley, I was back at the weight I was when I left slimming world. So, We’ve decided to lay off the crap food and make better choices. I’m going to be brave now and tell you that this morning I weighed 11st 10oz. I’m ok with that as it’s certainly not my heaviest, not by a long way but I know whats caused it and I know I can shift some of it. I’ve dug out my slimming world recipe books and this weekend I will sit down and do some proper meal planning. I’ll include my weight in future phone dumps so I can keep track and hopefully, having it online will encourage me to keep it up. Argh!!!! My garden is a wasteland!